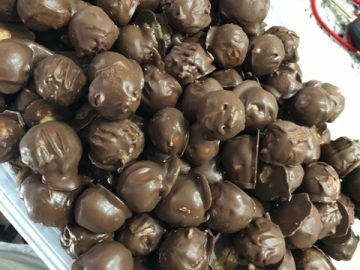 I remember the first time I tried Missy’s Peanut Butter Balls … I. Was. Blown. Away (just like I am with everything she makes) BUT this time especially! 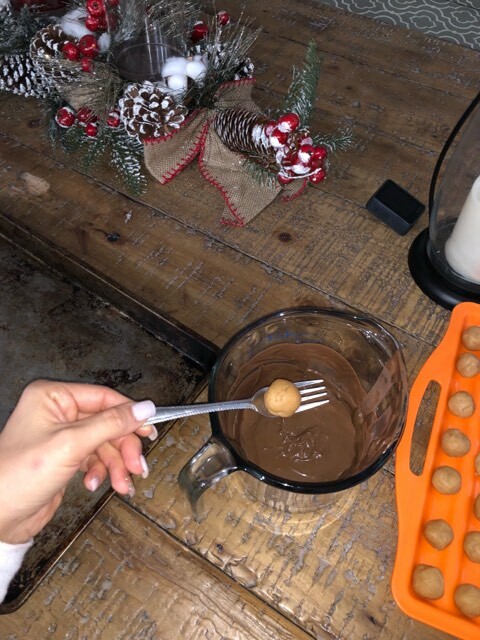 I’m not the biggest sweets person… That’s why I was so shocked that I really did enjoy these little balls of heaven. 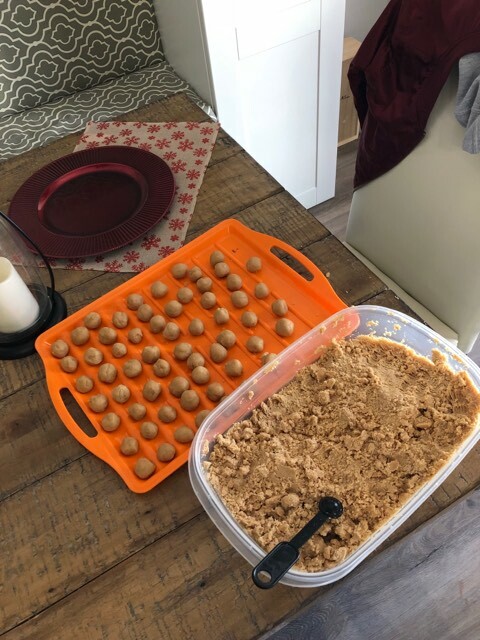 This year I decided to help her make all of her Holiday treats and that’s when I realized how EASY these peanut butter balls were to make! I have to thank my mother in law for introducing this to my wife! 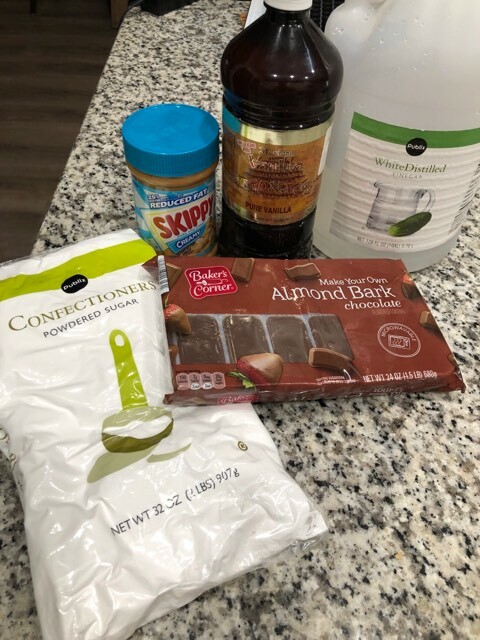 SO here it is… I’m sharing this delicious recipe with you..
-Melt the chocolate bark either in the microwave or on the stove (we put ours in the microwave for 1:30) Whatever package you get should have melting instructions on the side of it. 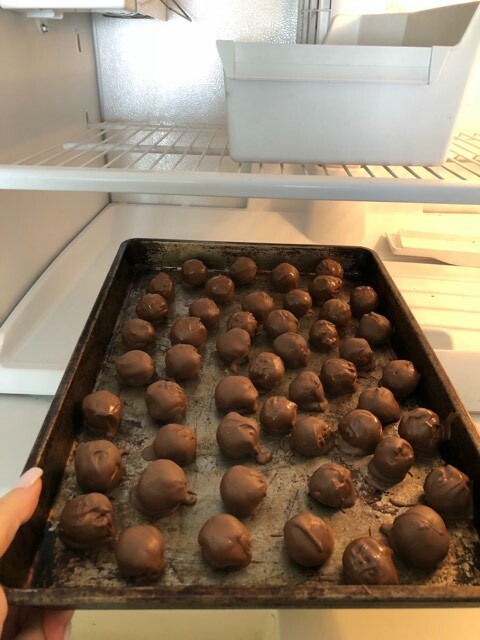 – Once the chocolate is nice and smooth…Roll the peanut butter balls in it! 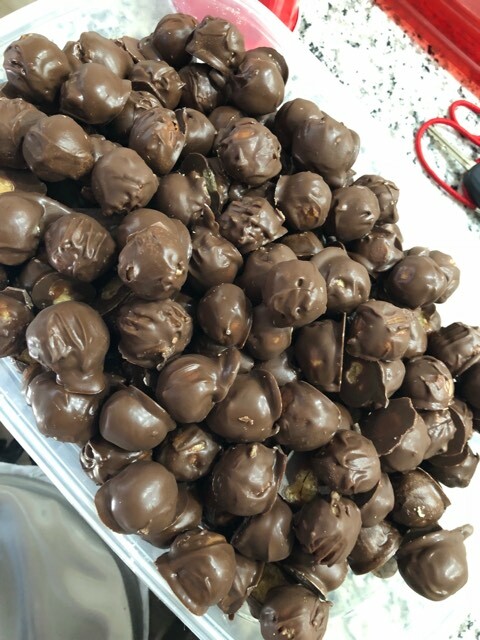 After that… you are good to enjoy. Just be careful! They will be GONE before you know it! Let me know how yours turn out! 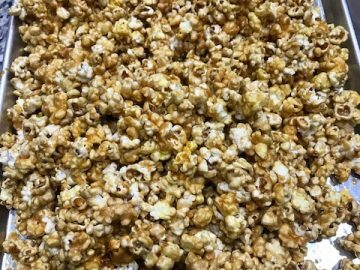 Oh and check out this Caramel Popcorn Recipe if you want to make another delicious, addictive, crowd pleasing treat! Some truly superb content on this internet site, regards for contribution. “A conservative is a man who sits and thinks, mostly sits.” by Woodrow Wilson. 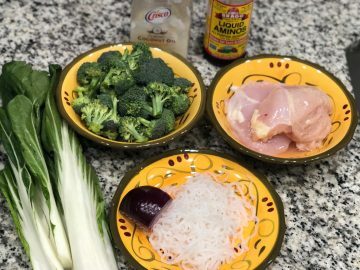 You are my inhalation , I possess few blogs and often run out from to post .I conceive this site has some rattling wonderful info for everyone. “Drunkenness is temporary suicide.” by Bertrand Russell. Hi there, just started to be receptive to your web page through Search engine, and realized that it is pretty informational. I’ll truly appreciate should you persist such. See below dates for our upcoming open days. If a player doies not have any of the above hands, thesn this only alternative iss to depend upon high card ranking. ones that focus on all kinds of cassino players wherever they are often located. a liok at some Texas Hold’em poker table cloth. story. I can’t believe you are not more popular because you definitely have the gift.